Oh apple pie. Its a simple simple dish, but you can screw it up in so many ways. Good apple pie is brilliant – bad apple pie, well the less said, the better. I love apple pie but I know how difficult it is to make well. Because the ingredients are so simple – a flaky pastry crust, and apples, basically, you have to really pay attention to technique and process. I have been dreaming of an apple pie with a cheddar cheese crust for ages, and decided I would make one today. I went to the market to get a few things I needed, and AngelKitten asked if I was sure I had cheddar cheese. I blithely said yes. Of course, I didnt have any. But I had bumped into Iq at the market and when I told him what I was baking, he said he thought it would be gorgeous with a pecorino crust. Well, I did have pecorino, so I made it with that! Cooking is sometimes about making do with what you have, and forgiving yourself for assuming you have what you dont! I think this pie came out beautifully. Its sweet without being overwhelmingly so. Its crust is so gorgeously savoury. The apple interior is scented with cinnamon. It reminds me that in South Africa, we eat cheese and jam together. Sweet and salty. A perfect balance. This pie has those elements. And thank you to Iq for the pecorino suggestion! Mix the flour and salt together in a large bowl. Grate the butter into the flour, and toss gently with your hands to mix. Cut up the margarine into tiny pieces, and toss into the flour butter mixture. Add the pecorino, and toss again. You should have a lumpy, slightly golden mixture. Using your hands, mix in the cold water, a tablespoon at a time, to create a firm and pliable dough. You can knead this dough a few times, using the heel of your hand to smear the dough away from you (this lengthens the frozen butter bits and makes it flaky). Wrap the dough in baking paper and refrigerate for at least an hour. Peel, core and chop your apples and place in large bowl. Add the juice and lemon juice as you chop to ensure the apples dont brown too much. Add the sugar, flour, all spice, cinnamon, vanilla and balsamic, and toss well to combine. Set aside for about 30 minutes. Preheat the oven to 180C. Butter a 9 – 10″ pie plate, with a removable edge if you like. Divide the dough in half, and on a floured surface, roll out one half of the dough. Put the remaining half of the dough into the fridge. Fit it into your pie plate, making sure the dough comes up over the edge. Poke holes in the dough with a fork, and bake blind (lined with greaseproof paper or aluminum foil and filled with beans or pie weights). Bake for about 20 minutes. Remove the greaseproof paper and beans, and bake for a further 5 minutes until just lightly brown. Remove the crust from the oven, let cool for about 5 minutes, and brush with beaten egg. The apples will have let go of a lot of juice in the bowl. Using a spoon (or as I do, you hands) take the apples out of the bowl, making sure to leave quite a bit of the juices behind. Mound the apples in the pie plate. Take about 2 – 3 tablespoons of the juice and pour over the top. Dot with butter if you want. Roll out the second half of dough, and place over the pie, crimping the edges to seal. Bake in the oven (on a cookie sheet if you are worried about spillage) for 30 minutes or until lightly browned. Take the pie out of the oven, and brush all over with the remainder of the beaten egg, and sprinkle with sugar. Return to the oven for 5 – 10 minutes more or until the pie is shiny, and sugar has caramelised a bit. Take out of oven and allow to cool for about 10 – 15 minutes before serving warm with cream. By the way, Ezril loves the juices from the apples, mixed with some milk as a drink! I am really in a tarty mood these days. Not sure why. Must be something to do with the moon 😉 I must admit that tarts and pies have always fascinated me. I love the idea of a pastry enveloping delightful fillings – and I have always believed that the pastry should be as good as the interior, if not better. I made a raspberry curd tart the other day, and now I am trying my hand at a savoury one. I love butternut and spinach together – their colours, green and orangegold are so complementary, and, more importantly, they taste so good together. Roasted butternut and lightly sauteed spinach are a knockout taste combination. But what would happen, I wondered, if you made them both very smooth and creamy, a touch of herbs and garlic, and combined them together, side by side. May be some shards of very salty, briney, goats cheese. That would stand up to the spinach and butternut. And a crust that had a hint of pecorino in it, so it too was a taste explosion. 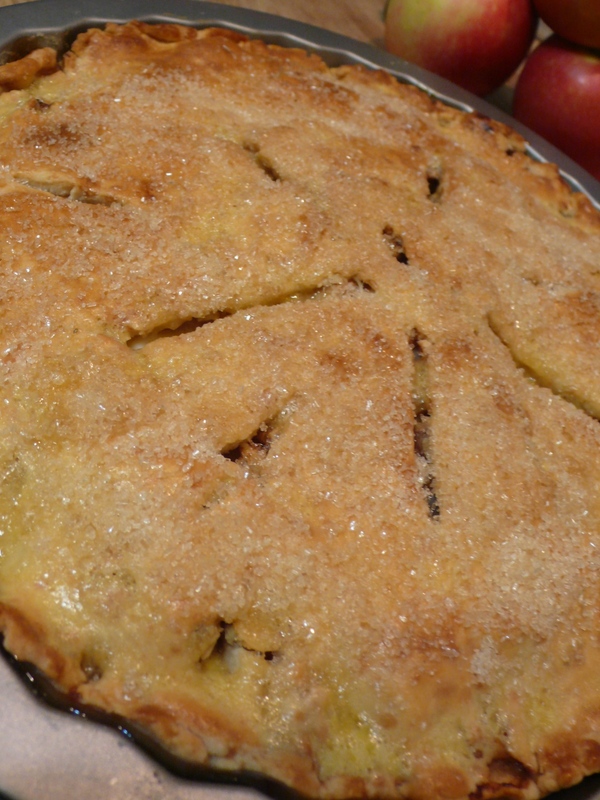 So I set out to make this tart of my dreams … and I must admit it is a process. I made it over one evening, and an afternoon. 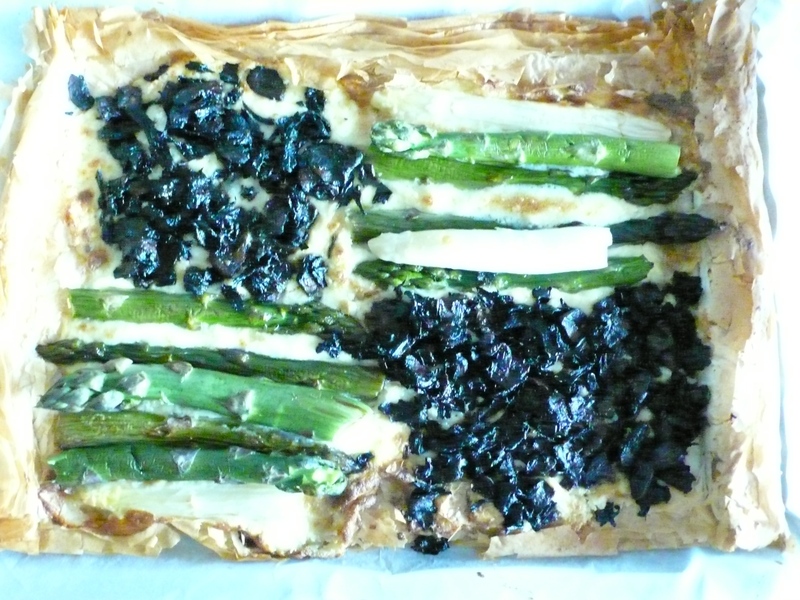 This is a tart for a family gathering or celebration, a picnic or a birthday. I have to say that the actual cooking processes are easy, and really not focus consuming at all – you just need to be around as things get roasted and sauteed, and you need to let the crust rest, and then prebake it. Its a doddle if you break it down into smaller components (much like life) and then tackle each individual piece slowly and with great enjoyment. I roasted my butternut and prepared my tart dough the night before while watching tv. The actual work time was about 15 – 20 minutes, and the rest was allowing the ingredients to do their magic. What I adore about this particular tart is that it is layer up on layer of perfection. 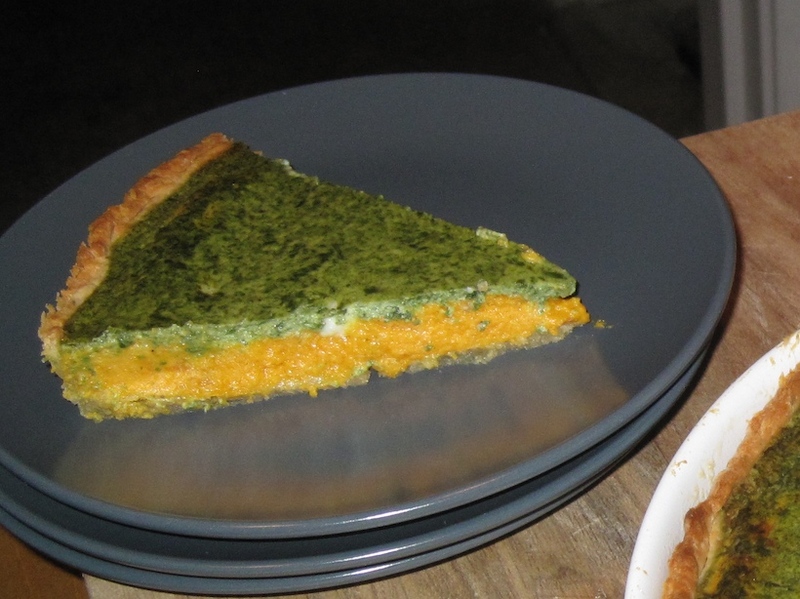 When you serve it, it looks like a spinach tart, which in and of itself, is pretty damn delicious. Underneath the bronzed deep green spinach, is the goldenorange perfection of butternut, and nuggets of melted goats cheese. What an astounding mixture, what a brilliant taste sensation, what delightful surprises hidden within that beautiful crust. Tarts are wonderful things because they can feed many people, in great style. They accommodate fillings pretty much at your whim and desire, and can be savoury or sweet at your discretion. A slice of tart will almost never go unaccepted – and when youre in the mood for just a bite, a sliver of tart can hit the spot perfectly. Plus they are so beautifully dramatic to present. Such a wide expanse of pretty colours and melting goodness. And you can serve them warm from the oven (but never hot), or cold from the fridge the next day (if there’s any left!). If you decide to make this tart, do think about timing. If you make it all in one afternoon, roast the butternut first, make the dough and put it in the freezer while the butternut is in the oven, then cool the butternut, then make the spinach, etc. You will need to give each element time to rest, cool and intensify their flavours and textures, so be aware of what you make and when. And just a note, I used pecorino in this recipe, but you could just as easily use parmesan. I love pecorino because its a more tangy version of parmesan, and its made with ewe’s milk so it goes easily with the goat’s cheese. In a large mixing bowl, combine the flour and parmesan. Grate the frozen butter over, sifting it into the flour with the tips of your fingers. I pause and do this twice as I grate. Beat the egg, dijon, oregano (or other herb) and salt together, and pour over the flour-parmesan-butter mixture. Bring the dough together with the tips of your fingers and let it rest in the fridge for about half an hour or up to two days. When you are ready to use the pastry, roll out on a floured board. Drape over your rolling pin, and centre it in your tart pan. Prick with your fork, line with aluminum foil, fill with beans, and bake in a preheated oven for 20 minutes. Take out the foil and beans, prick again with the fork, and bake for about 5 – 10 minutes until lightly browned. Allow to cool a bit before filling with butternut and spinach. Preheat your oven to about 220C. Prepare a baking tin with greaseproof paper. Skin and chop the butternut, and arrange it in one layer on the baking tin. Using your hands, lightly coat the butternut with some olive oil. When I say lightly coat, I really mean lightly – you dont want the butternut swimming in oil because it will most definitely steam in the oil rather than roast and slightly char. You want that caramelised burnt butternut flavour, and a tiny bit of olive oil will really help with that. Too much will be a hindrance. Using a sharp knife, cut about 1/4th inch off the top of a head of garlic, skins intact. Place the garlic on the baking tin, and pour olive oil into the cloves. Salt and pepper everything liberally. Roast in the oven for about 30 minutes, or until the butternut is soft, and slightly burnt around the edges. At this point, you can refrigerate the butternut, covered, for up to two days. Take the cloves of garlic out of their skins, cut away any very burnt bits (they can be bitter), and store in the fridge too, covered with olive oil. If you are serving the tart that day, go on to the next step. Using an immersion blender, combine the butternut and 3 tbsp of sour cream. Beat 3 eggs and 2 egg yolks together until light and frothy. Use 2/3rd of this in the butternut mixture, and reserve the rest for the spinach. Fold the eggs lightly into the butternut. Wash a packet of baby spinach well in salted water. Let it sit for a minute in the water while you heat 3 tbsp of olive oil that has been sitting with the roasted garlic cloves, along with three of the cloves, in a large frying pan over high heat. You can mash the cloves into the olive oil. With your hands, lift the baby spinach out of the water, allowing some water to cling to the leaves. Fry in the very hot oil until it is bright green and soft, about 3 – 5 minutes only. You dont want to over cook the spinach, but you do want it to be wilted completely. Season liberally with salt and pepper. Transfer the hot spinach to a mixing bowl. Add 3 tbsp sour cream, and using your immersion blender, make sure the spinach has been completely pureed. Fold in 1/3rd of the egg mixture from the butternut into the spinach and set aside. 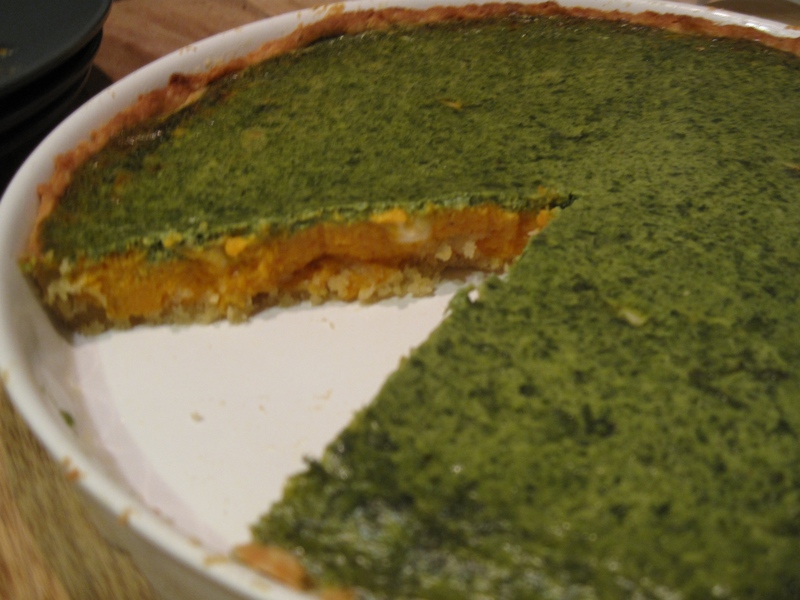 Pour the butternut mixture into the tart crust. Sprinkle the goats cheese all over the butternut, and then pour the spinach mixture over all, using a spatula to smooth the top completely. Bake in the oven for 25 – 30 minutes. Let rest for 10 minutes or so before cutting into wedges and serving. Perfection can be hard work, but it is so bloody satisfying when it comes off! Glowing green. Scented with basil, pine nuts, pecorino and garlic. Goopy, gooey goodness. I am nuts about pesto. Its so easy to make – about 5 minutes cooking time to toast the nuts, and the rest a few pulses in your food processor. You can eat this so many ways: straight from the bowl (as per usual! ); stirred through pasta or even rice; as an amazing addition to a sandwich or salad dressing; and, as I will be using it, as the base of a terrific lasagne. Pesto can be made with so many things – any green vegetable – or go further – let your imagination take flight – use butternut, sun ripened tomatoes, mushrooms even. Try it with almonds, macadamias, walnuts, and change the cheese – blue, parmesan, etc. Its so flexible, and so delicious. Note that I use some rocket in this recipe (about 1 to 3 in terms of the basil) because basil in Malaysia is very strongly flavoured. If your basil is the gentler variety, feel free to omit the rocket entirely. First off, toast the pine nuts. In a non stick pan, over medium heat, layer the pine nuts. Make sure you keep stirring with a spatula. These go from golden toasty to burnt in a split second, so be careful. 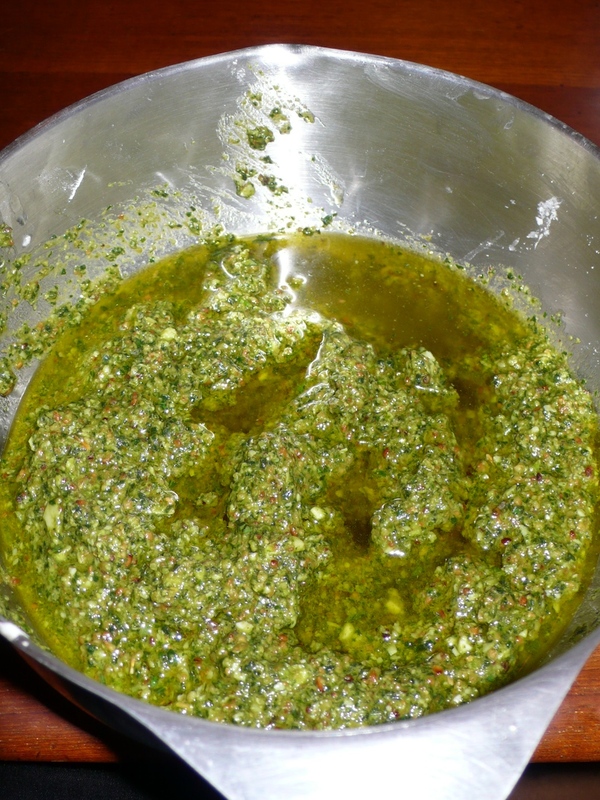 Put your basil into food processor and add about 1/4 cup olive oil. Pulse a couple times so its completely chopped. Add the rocket, and pulse again. Add the pine nuts, and pulse well, adding a little more olive oil if you feel it is needed. Add the garlic and salt, and pulse again. Add the pecorino or parmesan, and mix with spatula. Turn out into a bowl, and add a little more olive oil until its the consistency that you prefer. I would certainly make this at least 1 day in advance to allow the flavours to meld. Save covered with a slick of olive oil, covered, in the fridge.